Our unofficial week of writer celebration is ending! Of course, it will always reappear since, as we have mentioned in the past, we LOVE writers. The storytellers are our favorite part of the world of entertainment. And today we have another damn fine storyteller. Alan B. McElroy is the creator of some of the finest work in the world of horror, action, and more. In fact, he is the man behind the creation of a series that we have written about several times on this site already. That would be the Wrong Turn franchise. We have had writers, directors, and actors alike from several different sections of this franchise. But, now we have the big boss man himself! Alan also happens to have played a major part in the creation of one of my favorite comic book adaptations of all time with his work on the film and animated television series adaptations of Spawn. And of course, his credits just stack up on top of themselves until they create a tower of excellence that simply demands your respect. From films like the film adaptation of the video game Tekken, to the John Cena vehicle known as The Marine, this guy has done so much outstanding work it’s almost too much to talk about. But, dammit we will try! So ladies and gentlemen, Alan B. McElroy! You wrote the original story of a horror franchise that has made several appearance on this site over the last few years – the wonderful Wrong Turn. How did you come up with such a brilliantly scary story? Hi Ron, great to meet you via email and thank you for your interview request. We writers are often left unrecognized in the the industry. You’d be surprised how many people say to me “Oh, I thought the actors just made up their own dialogue! You mean someone writes it all down for them?” Yikes! Anyway, to your question. The idea for Wrong Turn came from a couple of sources. First, it’s basically Goldilocks and The Three Bears. The original idea was for a short film I’d planned to write and direct called Blur about a bank robber named Avon who, while escaping town with his loot, runs into car trouble and has to detour through nearby woods on foot. He comes upon a cabin that belongs to the three mountain men and hijinks ensue. Secondly, while driving to New York at night, my wife and I ran into a major traffic jam. When we asked a nearby trucker how long the jam might last, he said it could be eight to twelve hours. We decided to check the map and detour around the traffic jam – and suddenly we found ourselves on unfamiliar back roads at night in the middle of nowhere. We both thought, what if we have a flat tire? We could die out here and no one would know where we are or what happened to us. The last piece came together while driving with my wife and kids down to Disney World from Ohio. We drove through the West Virginia mountains and everything felt so remote and almost primordial. That’s when it all came together. I pitched the idea to a producer friend of mine and he said “You should add more characters so you have some kills, and call it something simple, like “Wrong Turn.” There you have it. And what are your thoughts on what the franchise has become? Is there anything that you believe sets Wrong Turn apart from so many other franchises? I have to admit that, beyond my own, I’ve only seen Wrong Turn 2. I’m not sure where the series has gone since, but I’m guessing there’s been a lot of death and cannibalism. I can only say that what may set it apart is our natural fear of becoming prey. The idea of being consumed by another living thing seems to terrify each of us on a primal level. Jaws remains popular because we fear being consumed by sharks. Jurassic Park remains popular because we fear being eaten by dinosaurs, even through dinosaurs no longer exist. As to Wrong Turn, we all have an innate fear of our fellow man because we can never fully know someone’s intent toward us. We fear that within those closest to us lurks a deeply hidden ugliness that seeks to “consume us” on some level. Cannibalism becomes a metaphor for ultimate betrayal by our fellow man. 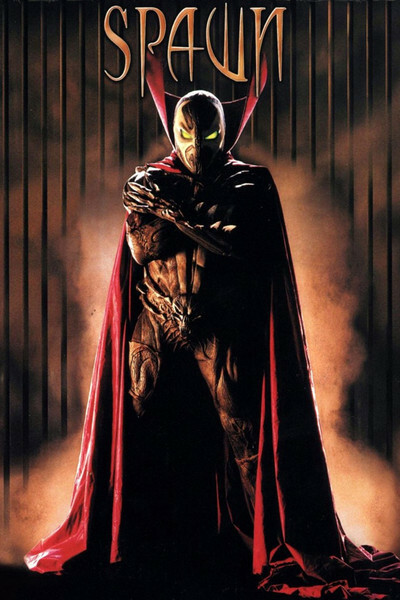 One project you worked on that I know my readers would kill me if I didn’t ask about would definitely be Spawn, both the film and television series. How did you come to work with fellow legendary writer Todd McFarlane? I got the job because I’d written a screenplay called Bat Out Of Hell about a guy who escapes from Hell and the devil sends three badass bounty hunters after him. The tone was on point for what New Line wanted for Spawn. I met with Todd and the director and pitched them my take for the script. As always, things are changed along the way, but I really enjoyed working with Todd and getting to go up to ILM and meet many of my SFX idols. What was great about the HBO series was getting the chance to really write it in my own voice and drop in ideas that didn’t make it into the movie. Often when people come up to me and say they weren’t happy with the movie, I tell them to check out season one of Spawn the animated series. Long time fans of the Spawn comics, films, etc. know what sets it apart from other stories. But, what about behind the scenes? What do you believe it is that makes Spawn and the fine folks like you behind this cult favorite so special? I think at the time Spawn came out we didn’t have this type of anti-super hero. He’s a dark character back from Hell. He made a deal with darkness for love, but was betrayed. Now he skulks in the alleyways among the trash and the homeless. Spawn was everything that other superheroes were not. Also, he only had a finite amount of power, so everything he did came at a cost. That isn’t the case for other superheroes. In all aspects of Spawn’s existence he is paying a price. I think fans can relate to that. Daily we make choices and those choices have consequences. Spawn’s entire character is born out of his choice to be with Wanda…only to realize that the path back to love travels through a long, dark and deadly valley of redemption. 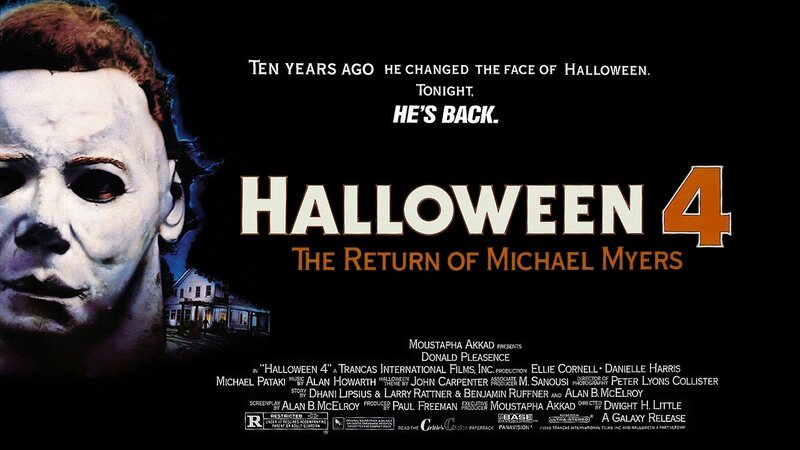 One of your earliest credits includes penning the script for Halloween 4: The Return of Michael Myers. What was it like jumping into such a well known franchise? Was it nerve racking at all? Where you previously a fan of these movies? I am a huge fan of classic horror films and the early works of Stephen King. I am and remain a huge fan of John Carpenter. Seeing Halloween and Halloween II were great experiences for me. In college I had a picture from a magazine of Jamie Lee Curtis curled in the hospital room corner holding that .357 magnum outstretched in her fists. I loved that image. So when I got a chance to bring the Shape back I was ecstatic. The only issue at the time was that there was a writer’s strike on the horizon and I only had eleven days to write the script. It poured out of me and, except for some budget issues and creative choices by the director, what you see on screen was what I wrote. I think that’s why people like the movie to this day. Fans can feel my love for the material in the work. When you look back on your illustrious career thus far, what would you say you are most proud of? My career has had its ups and downs. Screenwriting is a tough business and you have to have a thick skin. Most of my films have been rewritten by directors and other writers along the way leaving them painfully and woefully ill-conceived. They do the damage and I have to wear the scars. But that’s the business. I’d have to say what I’m most proud of is that everyday I continue have a love of film and television. I believe that there are more stories to tell and great, wonderful, thrilling, terrifying, and life-affirming worlds to create. I have been blessed by God to have a very long and, knock on wood, successful career. But I don’t measure that success in box office receipts, but in the simple fact that I’ve been able to raise a family and keep a roof over their heads by telling stories, writing those stories down, seeing them turned into movies and television episodes. No 100 million dollar opening weekend can compare to that. What is next for you? Any projects you would like to plug that we should be excited to see? I have a number of projects brewing but nothing I can talk about just yet. I am always seeking new ways to scare and thrill people. Right now I’m trying to gain some much needed experience in television. I intend to create my own series and run my own show. To that end I am working on staff right now to learn the nuts and bolts of what it’s like being in a Writer’s Room, breaking stories, producing episodes, and watching show runners do their thing. 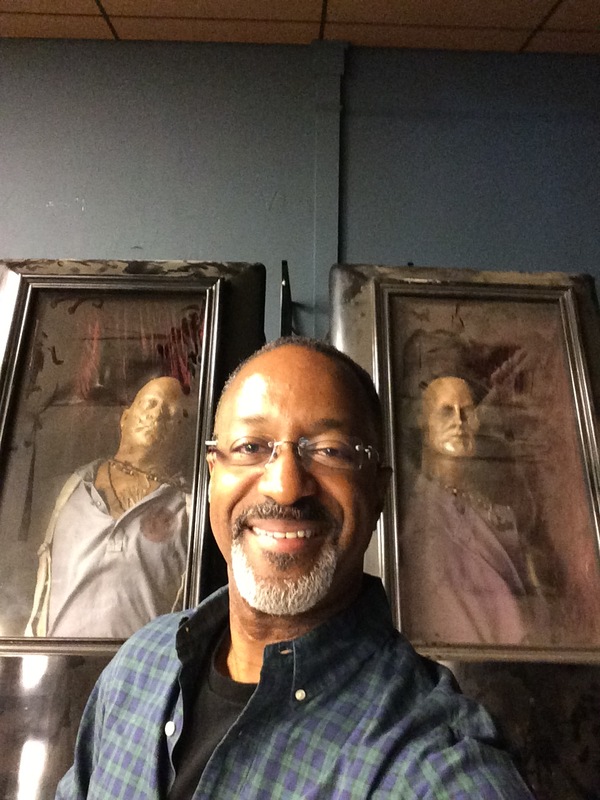 I just worked on the final season of The Vampire Diaries which was awesome. Working with Julie Plec and the rest of the TVD staff was like being in a Master Class about series television. I laughed uproariously last night at episode 2 of Making History. I love all things time travel. On a more filmic level, I smiled through Logan. What a great character piece. And I smiled at the very end of Split. No spoilers, but anyone who has seen it knows what I’m talking about.